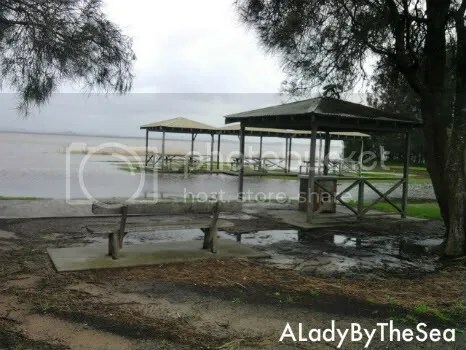 Tuggerah Lakes was in flood in June. Here the Lake has encroached onto the picnic area. In April/May we had an early summer, and the much of country was on drought alert. Since when it has rarely stopped raining. I expect the flood warnings daily. I do NOT expect a summer at the appropriate time! We had a a very wet summer, almost constant rain for the last 2 years. There is spontaneous applause if we have more than 3 dry days. I'm over it but we have been told that the unseasonal weather will continue for at least for another year.